Like I mentioned in my previous post, for most of my holiday decor I just wrap ’em up in tissue paper or butcher paper. But I’m always careful to label them. Remember, I’m a “no guessing” kind of girl. I like to know what’s inside and know where it goes when I’m done displaying it. Now, that’s not to say I don’t love surprises. I love surprises. Good surprises. Surprises like “Here’s $100, go have fun!” Or, “Let’s go out to lunch (at the last-minute)” or a surprise birthday party, etc. So if any of you want to surprise me with something good, feel free! But when it comes to putting things away, I like to have a place for it. It just works better for me. No surprises. 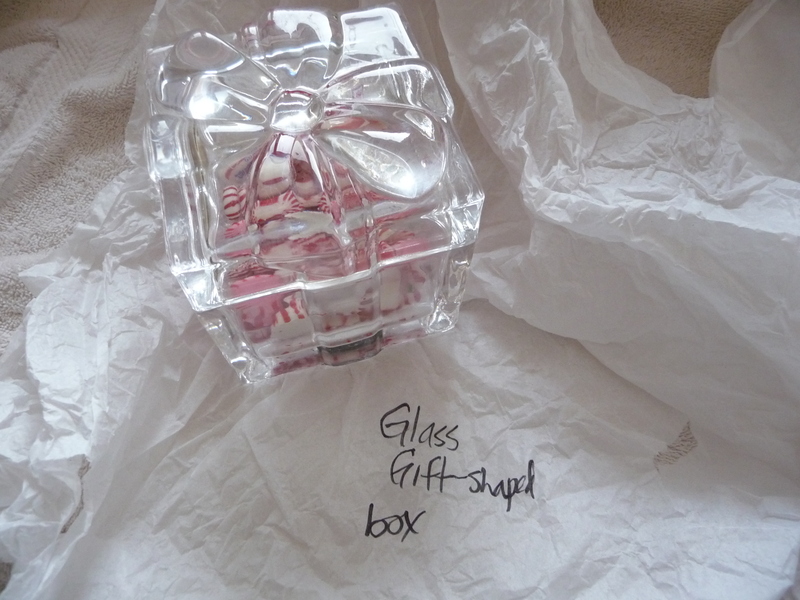 This entry was posted in Holidays, Organizing and tagged Christmas decor, tissue paper. Bookmark the permalink.